The Just Goes Unheard – I Am Not Ashamed Of The Gospel Of Christ! When we read blessed are the poor in spirit for theirs is the kingdom of heaven, people feel it makes no sense to be poor in spirit yet it is these who have the kingdom of God residing in them. When people focus only on this worlds goods they miss out on storing treasures in heaven their eternal home! 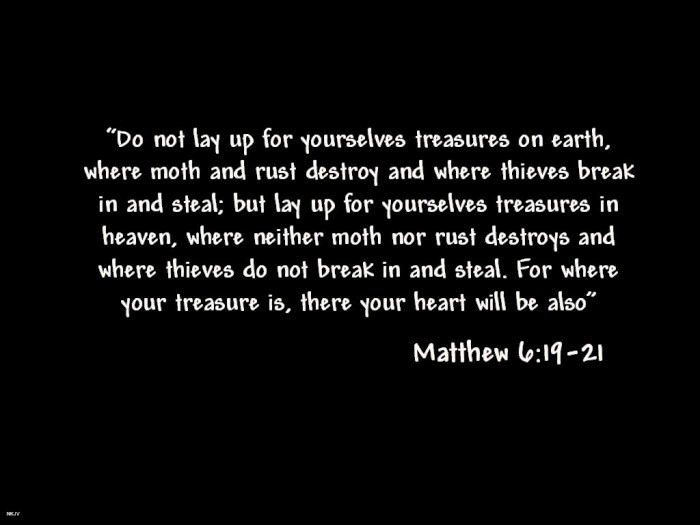 “Lay not up for yourselves treasure upon earth, where moth and rust doth corrupt, and where thieves break through and steal: But lay up for yourselves treasures in heaven, where neither moth nor rust doth corrupt, and where thieves do not break through nor steal: For where your treasure is, there will your heart be also”. (Matthew 6:19-21). The wisdom of this world has always had preeminence over the sound judgement of God, but when we turn to him in prayer and repentance our very being is completely changed. There was a poor wise just man written of in the book of Job and he made a huge difference for the good yet was not remembered. “There was a little city, and few men within it; and there came a great king against it, and besieged it, and built great bulwarks against it: Now there was found in it a poor wise man, and he by his wisdom delivered the city; yet no man remembered that same poor man. Then said I, Wisdom is better than strength: nevertheless the poor man’s wisdom is despised, and his words are not heard. The words of wise men are heard in quiet more than the cry of him that ruleth among fools. Wisdom is better than weapons of war: but one sinner destroyeth much good”. (Ecclesiasties 9:14-18). There have been nay sayers since time began as God sent time and time again prophets and wise men to tell of what is to come to pass of his will only to be persecuted and slain. Jesus taught this many times to the people and said it among his generation and it would be for ours as well. “Therefore also said the wisdom of God, I will send them prophets and apostles, and some of them they shall slay and persecute: That the blood of all the prophets, which was shed from the foundation of the world, may be required of this generation“. Jesus spoke to the people that at the time of the end God will cause the meek and just among men will increase in the joy of the Lord and those who watch and do evil will be cut off for they shunned those who were carrying out God’s will that was placed in their hearts! “And in that day shall the deaf hear the words of the book, and the eyes of the blind shall see out of obscurity, and out of darkness. The meek also shall increase their joy in the Lord, and the poor among men shall rejoice in the Holy One of Israel. For the terrible one is brought to nought, and the scorner is consumed, and all that watch for iniquity are cut off: That make a man an offender for a word, and lay a snare for him that reproveth in the gate, and turn aside the just for a thing of nought”. (Isaiah 29:18-21). ‹ Do Western Leaders Know The Terrorists They Are Fighting?